Thank you for your donations! Thanks to overwhelming community support, we have enough donated household items and cash to get the help needed for these residents! 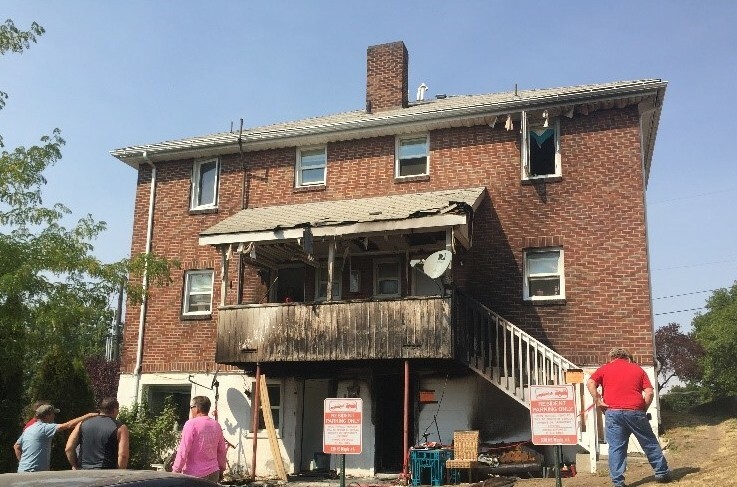 The eight residents who were displaced by last Tuesday’s fire at the Maple Street Apartment complex escaped injury but have lost most of their personal and household belongings. Costs to repair the damage by fire, smoke and water are estimated at $400,000. Repairs to the four units are expected to take approximately six months. Staff at Community Action Center, which owns and manages the apartment complex, is accepting donations of household goods in preparation for the residents to move to stable temporary housing and then return to their apartments after reconstruction is complete. Household items being requested include twin and full or queen mattresses, a crib, bedding, kitchen and bath towels, washcloths, shower curtains, kitchen utensils and tableware, and living room furniture. Gift cards and/or cash donations will also be accepted.